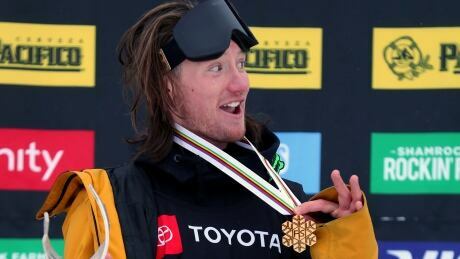 James Woods of Britain won the ski slopestyle title in challenging snow conditions at the world championships in Park City Utah on Wednesday. His best run was good enough to hold off Norway's Birk Ruud by a slim margin. American Nick Goepper finished with the bronze. CBC Sports will stream every event from the championships, running through Sunday, Feb. 10. Said Woods of the difficult conditions: "It was a bit of a wild day. Today was a pretty close call if it was going to be fair enough for us. ... I lucked out a little bit." The women's ski slopestyle race was postponed due to weather.